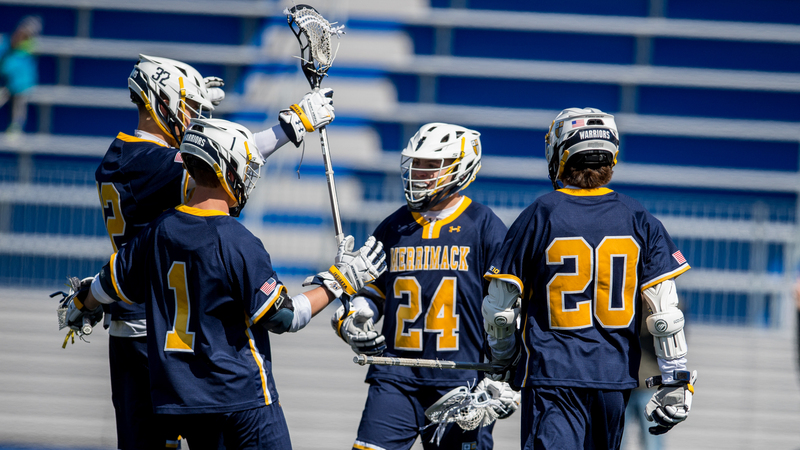 Fresh off of the best season in Merrimack College lacrosse history, this year’s team is looking to win a second National Championship in a row. Early morning conditioning, lifts and practices throughout Fall is just the beginning for a team that now knows what it will take to reach their ultimate goal in May. The message this fall has been crystal clear from the start. “We are completely turning the page from last Spring and focusing on this year,” said head coach Mike Morgan at the team’s first meeting of the year in early September. With the team’s first fall scrimmages approaching, rapidly all egos for incoming freshman need to be erased and all, if any, sense of entitlement gone amongst the team. The Warriors have looked hungry through the first couple practices, grinding it out in the weight room and competing against one another on the field fighting for their right to be on the field. Recently voted team captain, Mike O’Connell, “This group has so much potential and talent we do not want to waste a single day of working towards our end goal.” regarding the upcoming season. Merrimack men’s lacrosse will travel to Marist University soon to take on both Marist and Springfield College (D-III). Christian Thomas ‘21, a key member of last years run to Gillette Stadium and MVP of the National Championship game, said “the energy is infectious through ut the team and we can not wait to compete against someone other than ourselves.” The 2019 men’s lacrosse team is itching to get that first showdown in Poughkeepsie, NY.